Those who have tried Italian gelato would know that gelato and ice cream are not the same. 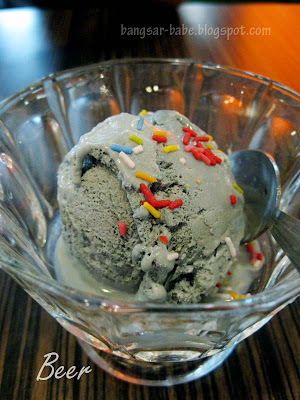 Gelato is denser than ice cream (hence the more intense flavour), as there is less air incorporated into the semi-solid mixture during the freezing and churning process. 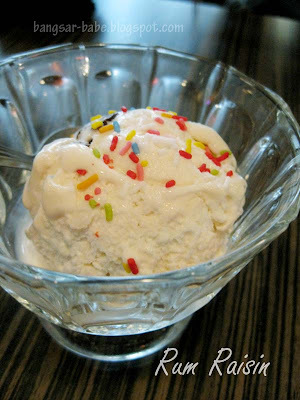 It is also softer and melts faster than ice cream because it is served at a slightly warmer temperature. Gelato has a lower fat content than ice cream — the fat content for ice cream is about 8 to 10% while gelato is between 4 to 8%. But before you wolf down a whole tub, gelato has a higher sugar content, 24% for gelato versus 14% for ice cream. 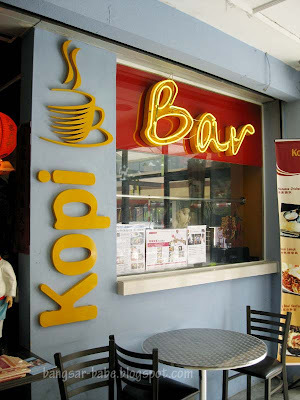 I was told about this place that sells gelato called Kopi Bar in Centrepoint. Since I was there for lunch, it only made sense that I checked the gelato out. From the outside, the place looked like a typical kopitiam, but the gelato menu on the table confirmed that my dining companion and I were at the right place. We sat down and ordered the first three gelato flavours because they looked the most interesting (they contain alcohol). 10 minutes later, our gelato arrived with colourful rice sprinkles. Eeeeekkk!! I dislike rice sprinkles because I find them too sweet and artificial tasting. Next time when I’m there, I’ll remember to tell them to hold the sprinkles. 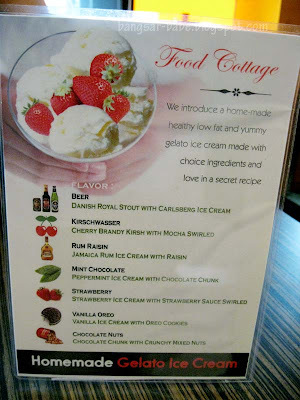 Of the three flavours, I liked the Beer and Rum Raisin. The Kirschwasser tasted a little bit like cherry flavoured cough syrup or cherry flavoured Dr.Pepper. If you like the taste of cough syrup and Dr.Pepper, this would be your kind of gelato. Beer Gelato tasted more of Carlsberg than stout — I liked the idea of having beer for your tongue to lick on with a slightly bitter aftertaste. 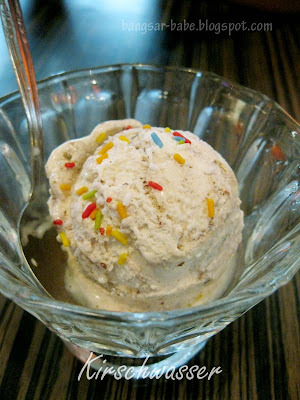 The rum raisin, studded with plump raisins and buttery rum infusion was sweet, creamy and highly flavoured. The lower fat content brought out the intense flavours of the gelato, and each spoonful was smooth to the tongue and the throat. A chat with the owner revealed that the gelato was homemade by a friend in Cameron Highlands and was delivered to Centerpoint 2-3 times a week. 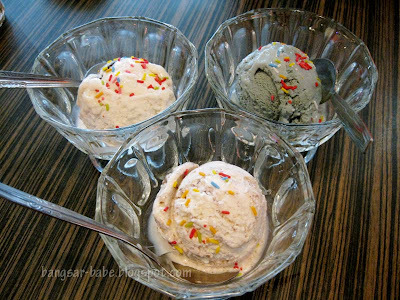 A scoop is RM3, while 2 scoops cost RM5. If you’re greedy, you can buy a whole tub (70 scoops) for RM70. I’m definitely coming back, since rif has yet to try the gelato here. Verdict: The gelato was quite decent and reasonable too! Alcohol + Ice cream? How perfect! nomad – I doubt you can finish it! Sean – I don't think they will run out. A lot of ppl don't know about this place…so hurry!